Since it was established, in 1990, the institute has performed scientific research activities in the field of labor market and social protection, thus supporting Romania’s efforts to create and develop a sustainable economy, based on modern, European principles. 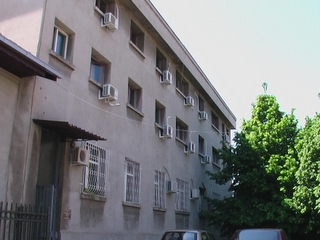 The establishment of the institute was necessary in creating the scientific expertise in the socioeconomic field in Romania, an acknowledgment of its importance in the context of the changes that occurred starting with 1990. Thus the surveys carried out by the institute’s teams of researchers were mainly directed towards the central administration requests and followed the national strategies objectives, contributing to the establishment of the policies in the field. The quality of the activities as well as the involvement of researchers in the general effort to create a new Romanian society have led, every year, to an increase in the importance of the institute and to its national and international acknowledgment. In accordance with the general institutional development policy in the field of R&D, in 1996 the quality of the institute’s achievements was assessed and acknowledged, by means of awarding it the status of national institute (GD no. 1305/1996, modified and completed by GD no. 1773/21/10.2004). In the above-mentioned context, the scientific research in the institute related to the labor market and social policy, whose results are found in the creation of measurement instruments, indices and criteria, the elaboration of methodologies for the assessment of the size, structure, territorial and category distribution, analysis and diagnoses, evolution and prognoses models for various temporal periods, action measures, programs and strategies, the monitoring of the development thereof, as well as the study of their efficiency and impact, have contributed on the one hand to the development of an active social environment, and on the other hand to signaling the appearance of new socioeconomic phenomena and the need to adopt new types of actions. In the entire research activity performed by the institute, both within the research and development programs in which we participate, and within the direct contracts with beneficiaries, we have taken into account the creation and presentation of scientifically based alternatives in taking decisions regarding the social field at any level, as well as quantifying the efficiency and forecasting of the impact of various options, which allow for the elaboration, at national level, of policies in the labor market and social field, oriented towards meeting national social needs. The institute has also directed its activity towards topics that allow for the harmonization of the national policies in its field of activity with the requirements in the field imposed by our country’s process of accession to/integration in the socio-economic structures of the European Union, towards objectives of the scientific research programs elaborated by the European Commission or other international structures. All these things were at the basis of our own development strategies at a scientific and human resources level, elaborated periodically by the management of the institute.